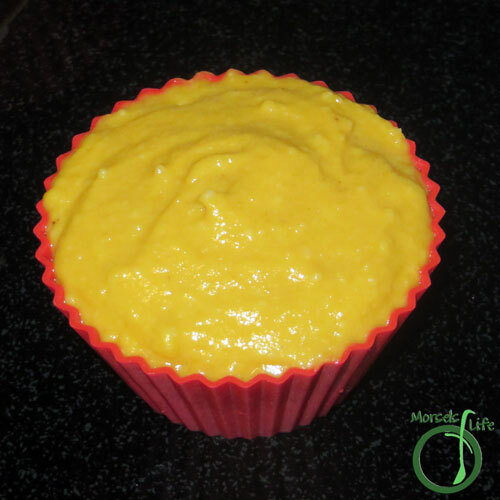 Since these cupcakes are egg-free, they won't rise as much as your usual cupcakes, so I filled the cups a bit more than I would with a typical batter. 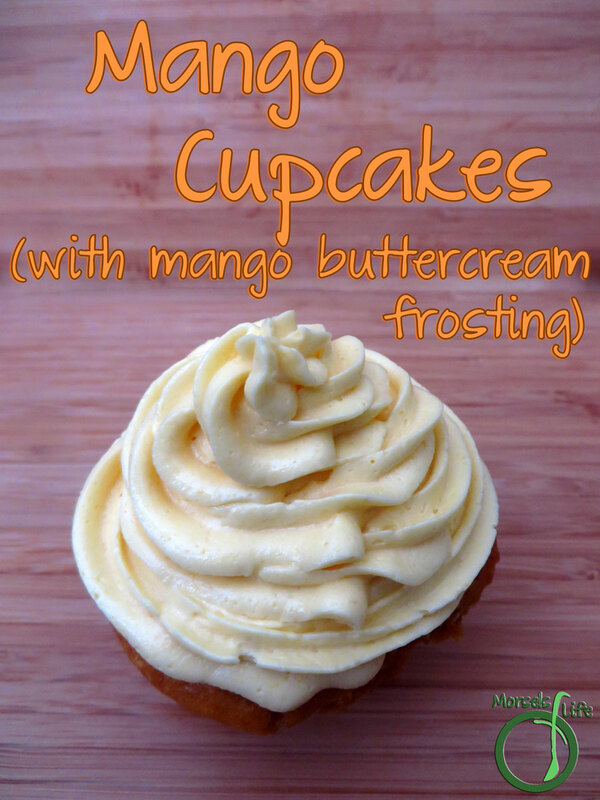 Pop them in the oven for 20 minutes or so, and you'll have some scrumptiously moist and yummy mango cupcakes! Even Bobert agrees. 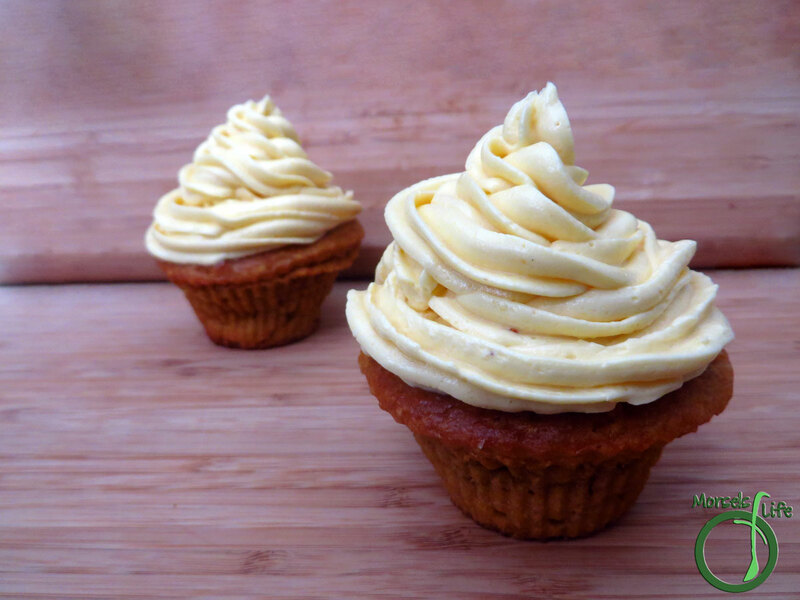 What's your favorite cupcake flavor? 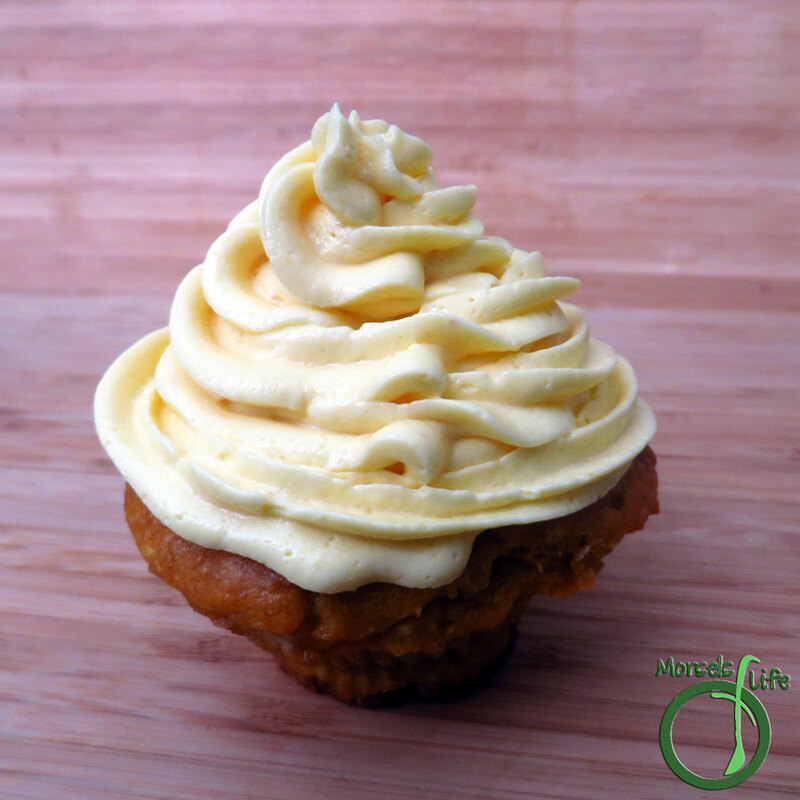 Make a small batch of these moist and flavorful (egg-free) mango cupcakes - made with real mango puree! 2. 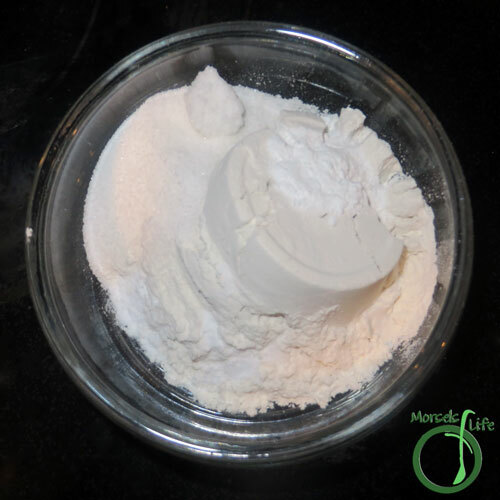 Form Dry Team by combining flour, baking powder, and baking soda. 3. 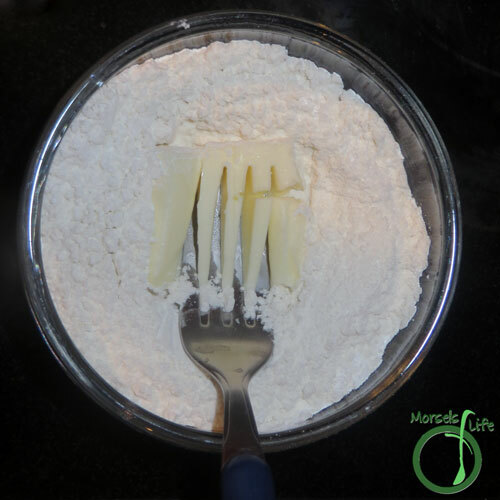 Cut butter into Dry Team. 4. 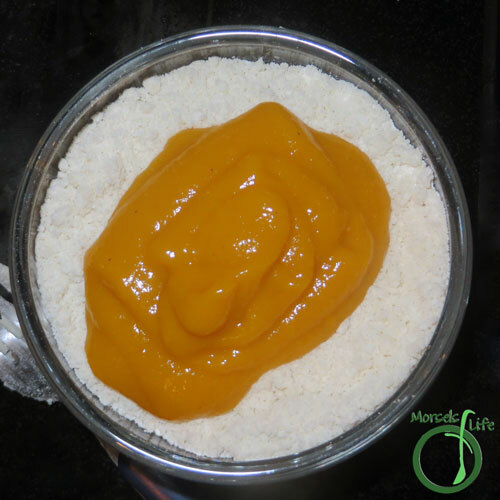 Mix in mango puree. 5. 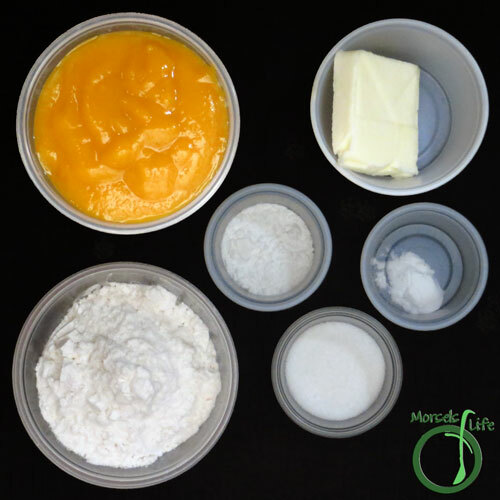 Pour into cupcake mold or muffin tin, and bake at 350F for 15-20 minutes. I love all things mango! Your cupcakes look delicious! I am amazed that you figured out how to make such a small batch. When I make them I will double the recipe since we are a family of 6! I love this! My son has a friend who's allergic to eggs, and this would be perfect for a play date snack. Thanks for sharing at Turn It Up Tuesday. Mmmm! Mango! I am so excited about this! My current favorite cupcakes are dark chocolate with no icing. Yeah, I'm a weirdo that doesn't like icing. But I'd love to try your recipe. You might change my mind! Thanks so much for sharing at Inspiration Thursday.